Pick a place in the United States, and chances are you&apos;re not far from a beautiful and accessible cave or cavern. 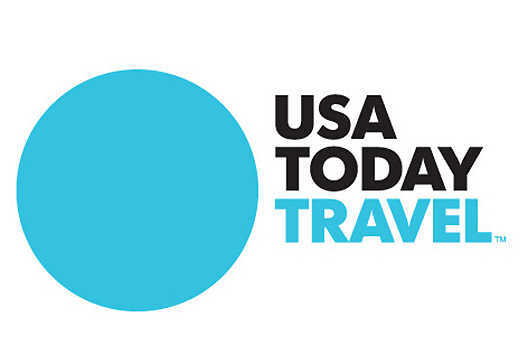 For the past month, USA TODAY 10Best readers have been voting for their favorite American caves from a pool of 20 nominees scattered from coast to coast. Voting has ended, and the winners are in! Located 1,120 feet below the surface of Lookout Mountain near Chattanooga, Tenn., Ruby Falls is the largest and deepest waterfall open to the public in the United States. This 145-foot cascade overshadows the impressive assortment of formations found elsewhere in the Lookout Mountain Cave. Located in Sweetwater, Tenn., The Lost Sea is the largest underground lake in the United States, part of the larger Craighead Caverns cave system. A guided tour of the cave includes a three-quarter-mile walk through the caverns, followed by a glass-bottom boat trip across the 4-acre underground lake. 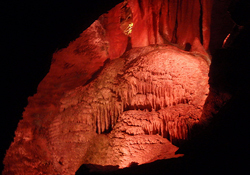 Kartchner Caverns - Benson, Ariz.
Niagara Cave - Harmony, Minn. Fantastic Caverns - Springfield, Mo. Blanchard Springs Caverns - Mountain View, Ark. 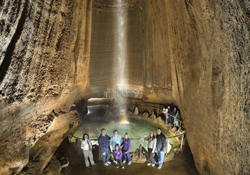 The Lost Sea - Sweetwater, Tenn.
Ruby Falls - Chattanooga, Tenn.
DeSoto Caverns - Childersburg, Ala.
Carlsbad Caverns - Carlsbad, N.M.
Mammoth Cave - Mammoth Cave, Ky.
Glenwood Caverns - Glenwood Springs, Colo.
Keep this list handy when planning your summer travels around the nation and congratulations to all our winning caves! Read online here or view as PDF.